Dr. Ajay Kumar, former Chairman of Fortis Escorts Liver and Digestive Diseases Institute is a renowned name in the field of Gastroenterology, Dr. Kumar has been conferred with several prestigious awards including, Dr. B. C. Roy Award by the President of India in the year 2008; J. Mitra Olympus Award for the Endoscopist of the year 2007 by the Indian Society of Gastroenterology and International Service award by American Society of GI Endoscopy. He has been the past President for Society of GI Endoscopy of India and is the President for Indian Society of Gastroenterology. 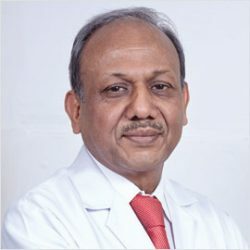 Before joining BLK, Dr. Kumar was associated with Moolchand Hospital, Indraprastha Apollo Hospital and Fortis Escorts Liver and Digestive Diseases Institute. Dr. Kumar is a renowned clinician and a skilled Therapeutic Endoscopist with more than 30 years of clinical experience. The Institute has a team of highly qualified and trained Surgeons, Physicians, Transplant Surgeons, Oncologists, Interventional Radiologists, Critical Care Specialists, Trained Nurses and technical staff who work together cohesively to offer comprehensive treatment for Gastrointestinal, Hepatobiliary and Pancreatic diseases under one roof.